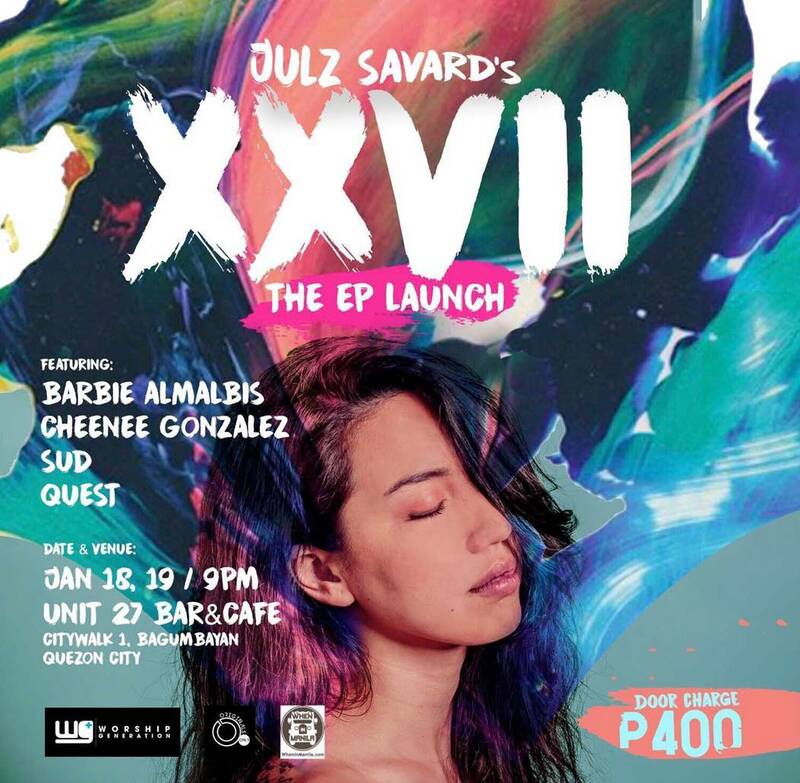 After having launched out as a solo artist in 2018, pop-rock and Christian contemporary singer-songwriter Julz Savard is releasing her debut EP, 'XXVII' or '27' this January 18! The album will be dropping online and a show will be held at Unit 27, Eastwood to coincide. Julz released three singles in 2018, each gaining traction: I Can Live Again raked in 190,000 views on YouTube and was chosen as the winning song for the Worship Collective Songwriting Competition in Asia under Luke Munns, former Hillsong United member. Vulnerable, her second single, campaigned as a song for mental health awareness and was used in the major feature film, "Kung Paano Siya Nawala". Her latest single, Infatuated, was her entry into the revived Elements Music Camp under Globe which she is now currently promoting as one of the top ten campers. 'XXVII' will include all three singles along with three brand new tracks. The name of the EP came about after reading psalm 27 where Julz was instantly inspired by its message to "sing and make music for the Lord" and "be strong and take heart". Julz feels the psalm defines the mindset she wants to keep as an artist and generally, as a person. Listen to the EP on Spotify, Apple Music, and Itunes and join us this January 18 at Unit 27, Eastwood!